Home » Startup Career • Startup Hire • Startup Interviews • Startup Tips » How to Pitch Yourself to Startups? How to Pitch Yourself to Startups? 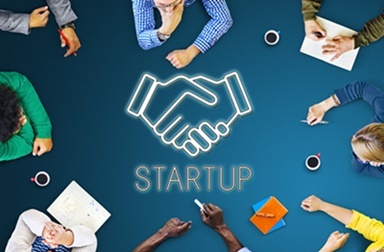 Nowadays, with the proliferation of small to large-scale startups, working for newly-established companies is increasingly appealing for many people. For young-spirited individuals who always seek for new challenges, working at a startup offers various attractive benefits which they cannot expect working in a corporate. Nonetheless, not everyone can easily adapt to a startup culture, so how do you pitch yourself for it? Most startups typically characterise their culture as a fast-paced company with fun environment. Rather than a formal tie and suit job, the team is free to sport casual dress code. Comprised of aspiring youths who seek for more flexible setting, bureaucracy and hierarchy are highly discouraged within the company. Due to limited resources, generally employees are given more responsibilities and at the same time, authorities to convey and develop their idea. ‘Tell me about yourself.’ Just like any other job interviews, this ice-breaker question might sound simple and unadorned. Yet, your fate in the startup is highly determined within the first few minutes of answering this question. To draw interviewer’s attention to your profile, you should present yourself in a way that is relevant to the job position you are applying. Use compelling and attractive sentences that will make them curious to know deeper about your qualifications and long-term career aspirations. Before sending your application letter to startups, it is crucial for you to define your dream job and ideal employer. This way, you can provide logical reasons as to – why you want to join a startup among other prospective companies. Do conduct research to find more information related to the startup from their official website, social media fan page, and sources. Job sites like Glassdoor provide salary information and company reviews, so you can gauge whether their cultural messaging fits with your ideals or not. ‘What motivates you to work for a startup?’ Most employers will ask this kind of question during the interviews session. Employers want to hire someone who is passionate enough for their job role, not those who need the pay checks. Therefore, convince them why you are the best candidate they can find in the talent pool. You should be able to show that you share the same value and mission as them, and is willing to contribute more for the company’s growth. Emphasise that you are not afraid of taking risks, ready for new challenge, and keen for continuous change. Long talk about your qualification will not bring you anywhere, unless you demonstrate your skills. Not only high GPA, you should be able to demonstrate that you possess both hard and soft skills for the job role in a startup. If you have previous achievements in a certain field of expertise that you can talk about, tell them about how you can achieve this. Startups need someone who can deliver an impact. Therefore, showcase your efforts and commitment to always learn new things in the startup. It might take time and great hard work, but at the end of the day, you will eventually land your dream job. Next read: Attending a Startup Career Fair? Here’s Some Great Tips!